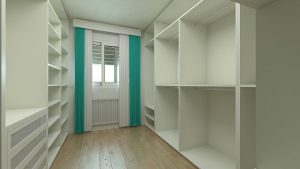 So, you have an extra room in your house and you’re not sure what to do with it. Get excited! Whether you have a rarely used dining room, the kids are now grown and gone, or you just ended up with a spare room, this is a chance to think about your space in a completely new way. Our extra rooms have so much potential but they’re often overlooked. Let us offer you 10 ideas to take that extra room and put it to good use. An art studio need not be large, just full of great natural light. Arrange a comfortable chair with easels close to a window. Consider neutral colors for walls and floor coverings. Include a space to store supplies and a sink for cleanup if possible. Are you a serious bookworm? Is your idea of a guilty pleasure to sneak away and read the latest bestseller? Arrange your library by genre and include the comfiest seating possible. Plan for surface and wall lighting, as well as overhead lighting, so you can read any time of day or night. Forget those monthly fees. A well-equipped home-gym is a great idea to utilize that small spare room sitting unused. Fitted with the latest exercising equipment, perfect lighting, and ample beverage supplies to replenish those body fluids after a rigorous workout session, such a room at home is perfect for the fitness freaks. Like to entertain friends and family over the choicest drinks? A private bar is a good idea to convert the extra room into a lounging space where drinks and fun go hand-in-hand. Add in a small sink, a refrigerator, and an ice maker, and you are all set. The bar space can be closed off with doors that make it disappear when not in use. For those who are almost always bogged down by office work and must carry their work home as well, a home office is a great option to fill that extra empty room. Furnishing it properly with sufficient cabinetry, comfortable work-station, and a back-friendly chair to be an ally for those strenuous long working hours, a small home-office can be conveniently added to the home spaces. Some motivational pictures/ quotes on the walls can serve as decor pieces. Having trouble corralling all of the toys in the house? Give them their own home in a playroom! Kids of all ages will love to play in a colorful, unique space that’s just for them. Add furniture like small tables, easels for art projects, and big cushions or beanbag chairs. Make storing toys, books, and games easy with bookshelves and cabinets. Or use storage containers and baskets to keep them organized under tables. Another idea the kids will thank you for. Keep video and arcade games out of the living room by creating their own separate game room! A game room is a great place for setting up gaming computers, video game consoles, and old-school arcade games. Don’t forget comfy loveseats, floor cushions, and bean bag chairs for those long game nights! When you don’t have a designated area for your hobbies, it can be difficult to focus on what you love. But with an extra room, you can build an area that’s just for painting, writing, yoga, crafts, and more! To create more space in your hobby room, incorporate free-standing bookshelves to store supplies. An industrial table with stools is good to have if you plan to work on long projects, too. Pass the popcorn. An extra room is a great place to set up a home movie theater. Add bookshelves or floating shelves along walls to store DVDs and Blu-Rays. You can also swap out your TV for a projector to create a true big-screen home theater feel. And don’t forget about comfy furniture! Whether you go with a sectional for the whole family to share or leather armchairs for each person, good seating will make movie nights even better. Are you running out of space for your clothes and accessories? An extra room can be the perfect spot for your dream walk-in closet! Install small hooks to hang your hats, scarves, and belts. Add a few floating shelves or cabinets to store purses and handbags. Set up cube storage shelves for your shoe collection. And hang some wooden rods to hold blouses, coats, dresses, and more! The best thing about an extra room is that you can customize the layout to fit any of your needs. Whether you want to turn an office into a craft room or a yoga studio, spare rooms allow you to focus on what you love. 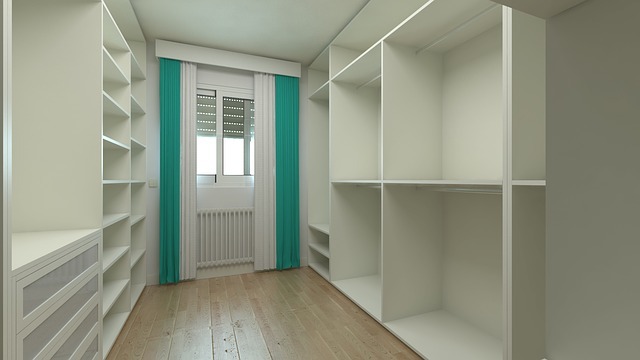 Need a place to store additional furniture and decor while you create your new room? AA1 Self Storage Sussex County has convenient storage and flexible storage.